Getting Remarried? 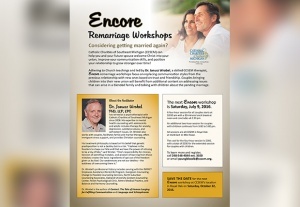 Sign up for a July 9 Encore workshop! SAVE THE DATE for the next Encore workshop at CCSEM’s location in Royal Oak on Saturday, October 22, 2016.